Cold symptoms don't always stop once you get out of bed. 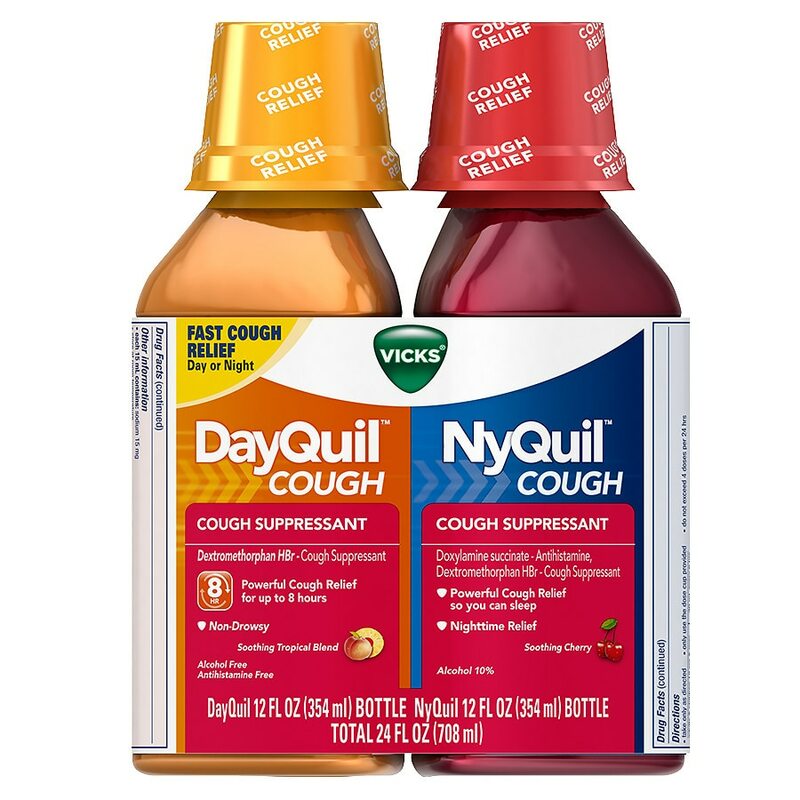 With a Vicks® NyQuil®/DayQuil® Liquid cold treatment combo pack, you'll have the cold relief you need on hand, day and night. The combo pack is available with NyQuil Soothing Cherry and DayQuil Liquid for both nighttime and daytime cold relief. Stop use and ask a doctor if cough lasts more than 7 days, comes back, or occurs with fever, rash, or headache that lasts. These could be signs of a serious condition. If pregnant or breast-feeding, ask a health professional before use.